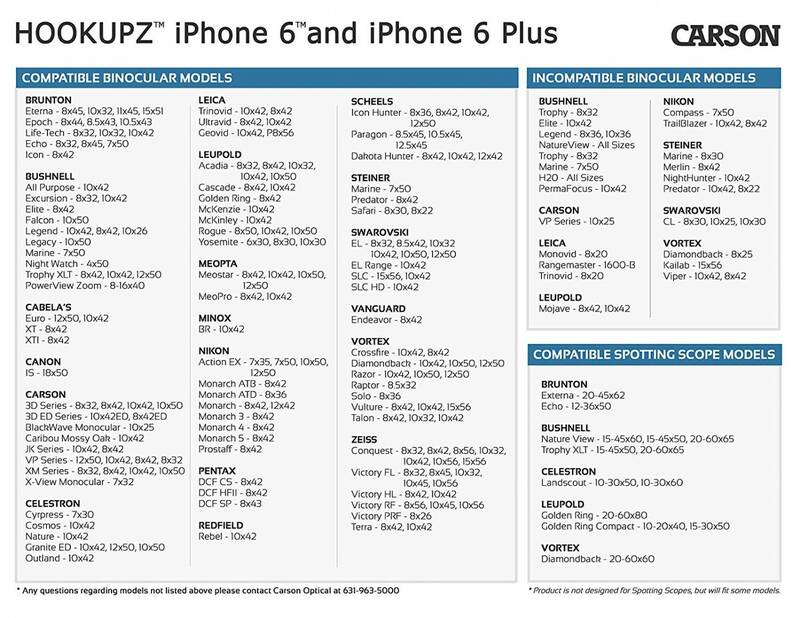 The HookUpz™ (IB-642P) adapter easily connects your iPhone 6P/6SP to your full-sized (32mm-50mm objective lens) Binocular. The HookUpz™ Binocular Adapter comes included with two interchangeable rubber rings that allow the adapter to fit most full-sized binoculars that have an outer eyepiece housing diameter between 40mm-44mm. Once you determine which ring works best, press firmly for a tight hold to the eyepiece.